SID is the world’s most prestigious forum that attracts the brightest minds and innovations in visual information technology. SID will propagate electronic display and other visual information technologies from concept to market, to sustain a thriving industry. Society for Information Display is comprised of the top scientists, engineers, corporate researchers, and business people of the display industry, valued at over US$100B annually. 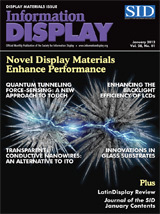 SID was formed in 1962 to promulgate display technology, and that work continues today, publishing a monthly Journal of SID, Information Display magazine, and our annual Digest of Technical Papers, which is presented at our annual spring Display Week Symposium and Exhibition. These publications are available online without additional charge for members. 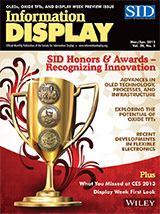 SID’s annual Display Week is the world’s largest technical symposium and exhibition for emerging technologies in the high-growth global electronic display industry, expected to reach $169.2 billion by 2022. Display Week attracts more than 200 industry-leading value-add exhibitors, and more than 7,000 electronic display design, development, and engineering attendees from across the electronic information display value chain. Attendees gather from more than 50 countries to learn, source and network. They represent nearly every major industry sector, including but not limited to aerospace, automotive, consumer electronics, commercial, education, entertainment, financial, government, industrial, marine, medical, military, retail and transportation. SID has chapters located throughout the world; members are free to choose which chapter they wish to belong to, and many chapters webcast their technical meetings, some of which are available to members as recordings free of charge. 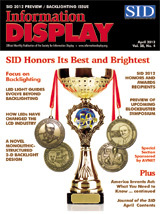 SID also promotes the SID-Wiley book series on display technology, and other conferences including LatinDisplay in Brazil, EuroDisplay in Europe, International Display Workshops in Japan, and Asia Display. Students are supported with deeply discounted memberships, and travel grants for some with the best papers. To train engineers, obtain fresh market perspectives for businesspeople, and for cutting-edge information on tomorrows displays, there's no place like SID! When you join the Society for Information Display, you are joining the international display community — and a local one. From Osaka to Eindhoven, you will find colleagues passionately involved in display and display-system design, integration, marketing, display standards, manufacturing, human factors, applications, and R&D. Each of these display professionals is a member of the chapter of his or her choice. The chapters have periodic meetings, and some run conferences and trade shows that have national — even international — appeal. The chapters interact both directly and through the central SID International Office, and chapter meetings often feature speakers with international reputations. SID’s largest international gathering is the annual SID Symposium, Seminar, and Exposition, which attracts thousands of attendees, speakers, and exhibitors from around the world. Here, the members of the international display community come together face to face, share technical information, develop business opportunities, and make new friends — just as we have done since 1962. We invite you to join us. Join the international display community and become part of your local display community. Access the most complete and most accurate information on displays. Enjoy many opportunities for networking with your peers and with leaders in the field — in person and electronically. 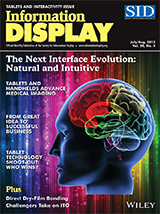 Receive Information Display magazine, the world’s leading magazine devoted exclusively to display technology, applications, manufacturing, and marketing. 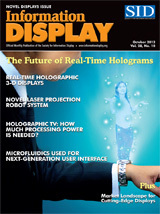 Receive the Journal of SID, the world’s leading technical journal devoted exclusively to display technology. Receive timely information on forthcoming display conferences and trade shows — in locations from Hamamatsu to Orlando to London. Work side by side on SID committees with industrial and academic leaders of the display community. 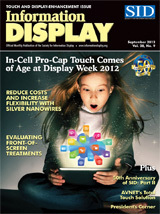 Be recognized within your company as a professional who is in touch with the latest in Display technology. Obtain ongoing recognition and publicity for your company by having it become a Corporate Member of SID. Information Display magazine ads: See the informationdisplay.org website for information on printed magazine ads, online ads at informationdisplay.org, and email blast advertising opportunities. Corporate SID members have their name and website hyperlink included on frequent email blasts throughout the year, while silver corporate members can include a logo, and gold corporate members can include either a logo or embedded video. Please see SID's corporate members page for further information. Most of SID's speakers are those who submit technical abstracts and then present their papers at our Display Week Symposium, or at other SID co-sponsored conferences such as IDW in Japan, IMID in Korea, the Vehicle Displays conference in Michigan, or the IDRC which alternates between Europe and Brazil. Please see the conference websites for further information on abstract submission for these speaking opportunities. Display Week chapter events: Many speakers have given industry talks for SID chapters. For speakers who sign a copyright form, these talks can then be distributed via SID.org's webinars page; new webinar files are announced to our email list of ~30,000 industry participants. Competition of live demonstrations regarding emerging information-display technologies, such as not-yet-commercialized prototypes and proof of concepts. The SID Board of Directors, based on recommendations made by the Honors & Awards Committee, grants several annual awards based upon outstanding achievements and significant contributions. Information regarding nominations as well as past recipients of the awards is available at the link above. Each year, SID bestows awards in three categories: Display of the Year, Display Application of the Year, and Display Component of the Year. Display Week attendees vote for their favorite products and exhibits on the show floor. Each year a sub-committee of the Editorial Board of JSID selects papers for these awards which consists of a plaque and a $1000 prize. 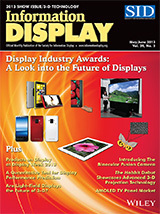 Outstanding Student Paper award is generously sponsored by LG Display. 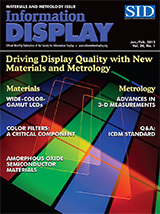 a) To encourage the scientific, literary and educational advancement of information display and its allied arts and sciences, including, but not limited to: the disciplines of display theory, display device and systems development, display systems and applications, display peripherals, display materials/processing/manufacturing, display measurements, imaging, image processing, hard copy, printing, information science, display design, display input/output devices/interaction, display perception and the psychological and physiological effects of display systems on the human senses. b) To maintain a central repository for data relating to information display and its allied fields which shall be accessible to all qualified members of SID for research purposes. c) To provide forums, by establishment of regular periodic publications and regular conferences, for the exchange and dissemination of ideas relating to the field of information display. e) To conduct these activities and achieve these objectives without pecuniary profit to its Directors, officers or members; any balance of money or assets remaining after the full payment of corporate obligations of all and any kinds shall be devoted solely to the above stated purposes. 2. 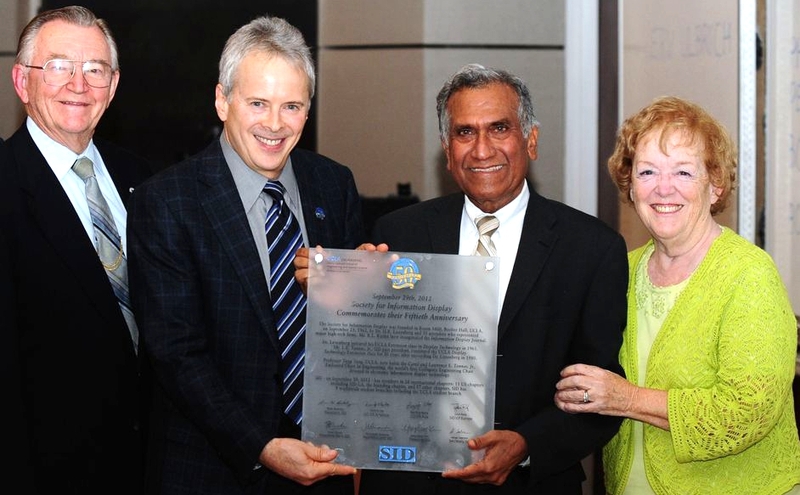 The scope of SID is non-national, embracing all territories of interest to its membership. SID shall maintain its principal offices in the USA, from which it shall carry out its general administrative functions in accordance with applicable laws. Donations can be made to SID by mailing us a check or online in increments of $50 in our bookstore. For example in SID's bookstore, to donate $150, you'd change the donation quantity from 1x$50, to 3x$50, or to a quantity of 100 for $5,000, etc. For further information on making a cash or estate donation, please contact SID HQ by phone (408) 879-3901, fax (408) 879-3833, or office@sid.org. The membership grade of Fellow is one of unusual professional distinction conferred by the Board of Directors, acting on the recommendation of the Honors and Awards Committee, upon a SID member of outstanding qualifications and experience as a scientist or engineer in the field of information display who has made widely recognized and significant contributions to the advancement of the display field. Nominations for election to the Grade of Fellow must be supported in writing by at least five SID members. Nominees must also meet the membership requirements specified in Article 3, Section 1. e) of the SID Bylaws. To apply for the grade of Fellow, please follow the procedures on our Individual Honors & Awards page. •Professor Maxim Tomilin was famous Sovyet and Russian specialist in area of liquid crystal physics and application. •He was born in 1937. In 1961 Maxim Tomilin graduated from Leningrad Mechanical Institute (University). PhD 1969, D.Sc. (Hab.) 1980. 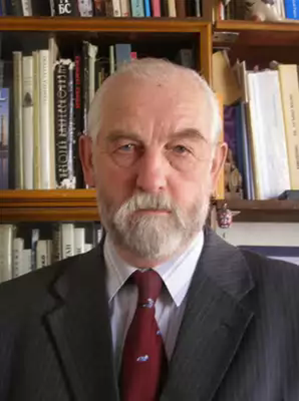 •In 1970-2006 he was with Vavilov State Optical Institute, since 2006 he was professor of The National Research University ITMO (Information Technologies, Mechanics and Optics, Saint-Petersburg. •Maxim Tomilin investigated materials’ properties, surface interaction of liquid crystals with different materials, proposed some new solutions of LC based devices. Recently he wrote a set of books and text-books on the LC and history of optics. •He is author of three books, more 300 scientific papers and 60 popular papers, 40 inventions. He organized 10 international conferences. •Maxim Tomilin is founder and first Director of the SID Russia Chapter. He was SID Senior Member. He was awarded with a medal of D.S. Rozhdestvensky Optical Society (Russia), medal of Russian Exhibition of National Economics (at present Russian Exhibition Center) and medal “XXth Symposium Advanced Display Technologies” established by Byelorussian, Ukrainian and Russian SID Chapters. On the 27th of November 2016 Gus died at home in Los Gatos CA with family at his side. His death was caused by a rare cancer called Mucosal Melanoma (internal) more than four years after it was diagnosed. Our thanks to the doctors, nurses and care he received at Stanford Hospital and the immunotherapy treatments which enabled him to maintain his lifestyle longer than had been expected. Gus was born 17 August 1943, son of Florence Violet (Filson) and Gus Holbrook Carroll in Chicago IL. His childhood home was in Clarendon Hills, a Chicago suburb. He attended high school in neighboring Hinsdale. He graduated college in 1965 with a BS in Physics from Rose Hulman Institute of Technology, Terre Haute, IN and shortly thereafter wed Mary Elizabeth (Libby) Wilson of Evansville IN. They had two sons, namely, Christopher and Alexander. They were divorced in 1979. While living in the Los Angeles area, he got his MSEE from Cal State Northridge. He was an expert in analog design and was involved in many varied projects including a virtual reality system that was a hands-on exhibit at the Chicago Museum of Science and Industry. He also had several patents. His customers included RCA, Samsung, Grumman Aerospace, Ford Aerospace and many others. His latest project, over the last few years, brought him into a new arena. His son Chris, a mechanical engineer, designed a fish measuring board for marine science. Gus was the sole hardware designer for Big Fin Scientific. In 1977, on a blind date arranged by their friends, he met his future wife, Stephenie Olson of Los Gatos CA. They wed in 1981 and were married 35 years. They did not have children of their own, however Stephenie brought a daughter into their union. 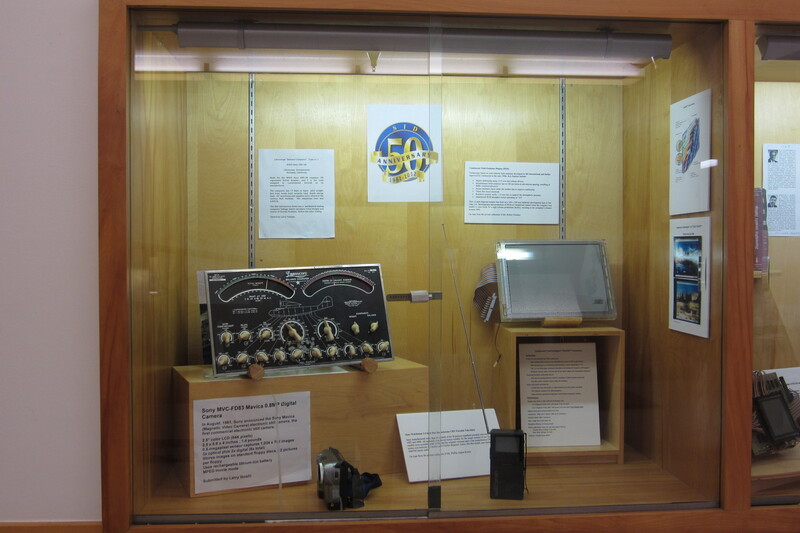 Gus was the president of the Society for Information Display from 1982-1984, and was a senior member of SID as well as IEEE and PATCA. 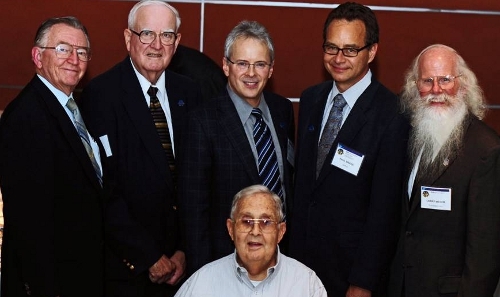 He was listed in a variety of biographical references, including Who’s Who in Technology Today – Electronics & Computer Sciences. In 2015 he attended the 50th reunion of his college graduation from Rose along with many of his fellow classmates. Gus can be defined by his entrepreneurial spirit, curiosity, creativity and sense of humor. He enjoyed playing bridge and had earned several masters points. He faced his mortality with dignity, courage, and a sense of humor. He is survived by his wife Stephenie Olson, sister Sarah Neeb and husband, sons Christopher and Alexander, their spouses and children, as well as a niece and nephew and their offspring. In May 2015, the Board of Directors of SID unanimously approved a motion to bring a comprehensive revision of the SID bylaws to the membership for approval during the 2016 membership vote. This informational document is meant to provide facts about the governance changes. • All nominations shall be made by the Nominating Committee, in consultation with the regional Chapters for the RVP nomination, with opportunity for direct nominations from the membership as currently defined in the bylaws.